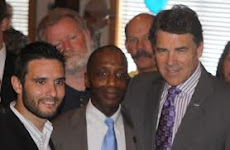 Straus is NOT a conservative! He needs to be replaced as Speaker. This session has been the worse for education, the worse for security of our laws regarding our court system and the worst for the actual taxpayers. Straus IS conservative. Democrats would not elect him if they were in the majority. Just ask one of them. Start with Trey Martinez Fischer. I elieve the only hope that the conservative voters have is that Gov. Perry will use his veto pen and veto any and all legislation that has pork barrell money in it and any oher slush funds. I believe by eliminating all the pork barrell money and other slush funds this money could be used to help balance the budget without all the card tricks that is currenltly being used by our liberal elected officials in Austin.